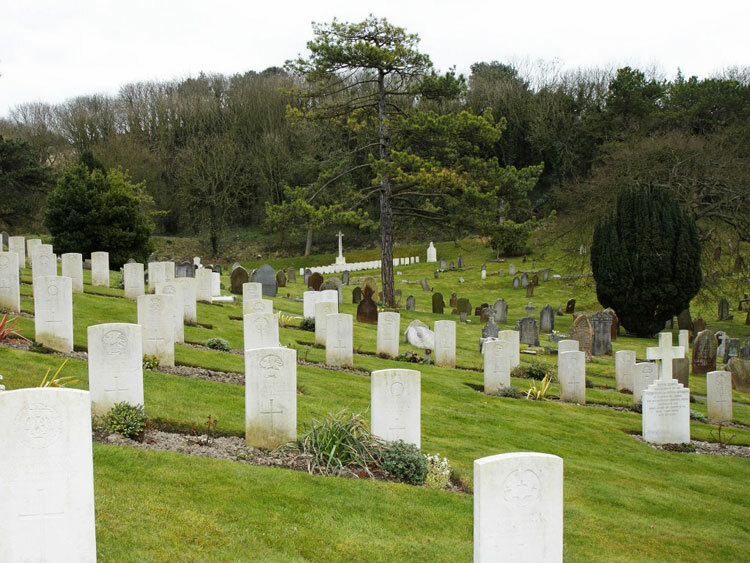 Dover (St. James') Cemetery contains 719 burials from both the First World War and from the Second World War. During the First World War, Dover was a port of embarkation for troops bound for the Western Front and between August 1914 and August 1919 some 1,300,000 Commonwealth sick and wounded were landed there. The port was bombed in 1915 and again in August 1916. There are 373 identified burials of the 1914-1918 war here. In addition there are 19 unidentified burials, 9 of whom can be named as victims of the Zeebrugge Raid, and these 9 are inscribed on a Special Memorial on the Cross of Sacrifice in the Zeebrugge Plot. In 1940, Dover was the headquarters for the evacuation of the British Expeditionary Force from Dunkirk and nearly 200,000 of the 366,000 British and Allied troops brought back during the operation were landed there.Throughout the war Dover was a particular target for the long range guns on the French coast and between September 1939 and May 1945 there were no less than 742 attacks by air raid and shelling. Most of the 356 Second World War burials are contained in a special war graves plot at the far end of the cemetery. The plot, know as the Dunkirk plot, contains many graves from the Dunkirk operation. 22 of these burials are unidentified. There are also 8 Foreign National war burials and 3 non war service burials in the cemetery. We are very grateful to Len Scott of the Find a Grave website for photographing the headstone of this soldier. 5th Battalion the Yorkshire Regiment. 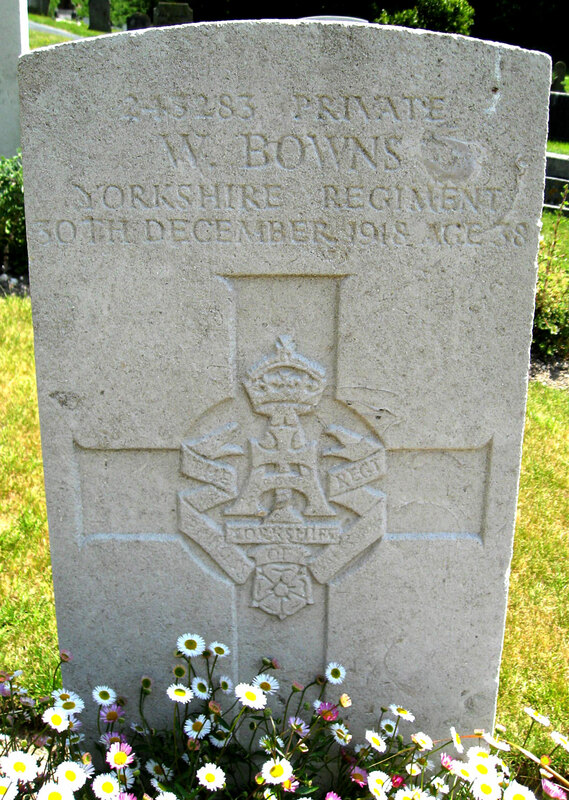 Son of the late Alfred and Sarah Ann Bowns, of Blaby, Leicester. Died at home 30 December 1918. Aged 38. Born Blaby (Leicester), Enlisted Stokesley, Resided Oadby (Leicester).